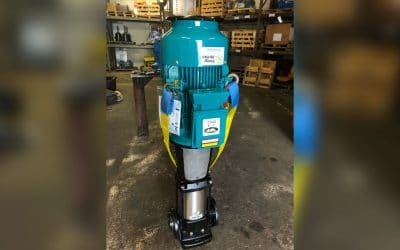 Summit FM end suction, tangential discharge pumps are a great option for general-service applications pumping water, solvents, light oils, non-corrosive chemicals, coolants and brines up to 2300 GPM, with heads up to 200 feet. 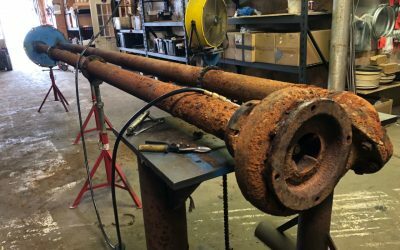 Pressure holding steady on a TACO KV1509 vertical inline pump at our shop in Pasadena. 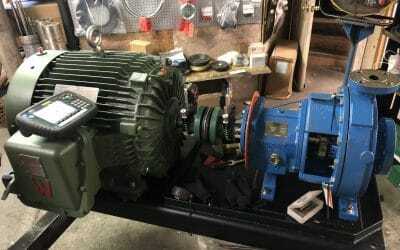 This mobile, cart-mounted unit includes a Summit Internal Gear Pump, Model VV40K (replaces Viking’s K4124A) coupled to a 15HP TECO Westinghouse motor. 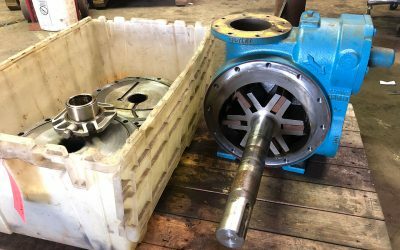 Check out this Blackmer gear pump that just came in for an overhaul. 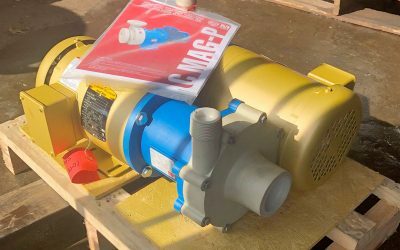 Two MPumps C MAG-P Series magnetically-driven, seal-less, centrifugal pumps heading out the door. 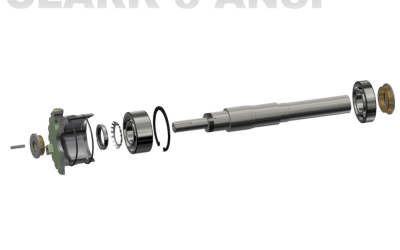 This series of pump can handle up to 200 cSt, 144 feet of head, and 616 gpm, and are engineered to be put to use in the harshest environments. 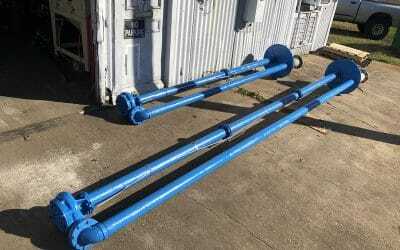 These two Goulds 3171 Sump pumps received new shafts, flush lines, impellers, were sandblasted, and received a fresh coat of paint. 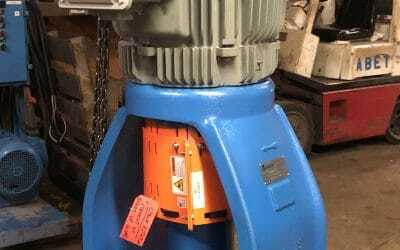 Our customer required a quick turnaround, and our mechanics made it happen. New 316SS Goulds 3996 heading out the door this morning. 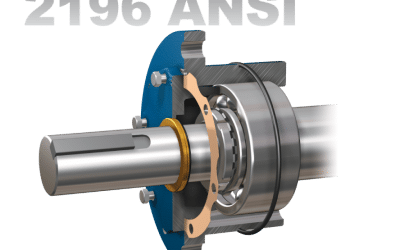 ABET outfitted this unit with an ASI 1.75” C/SC/V Cartridge Style Mechanical Seal, with a Plan 13. 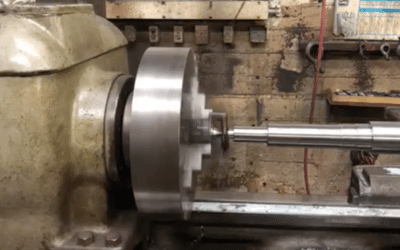 ABET’s Manual Machinist is a master at his craft. 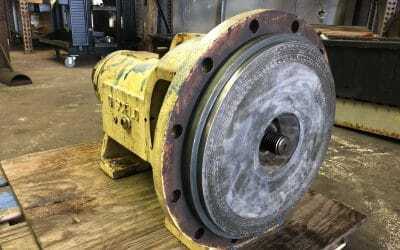 In an industry where 0.005” is often times the difference between successful operation and catastrophic failure, you should only be trusting the experts with your critical dimensions and tolerances. 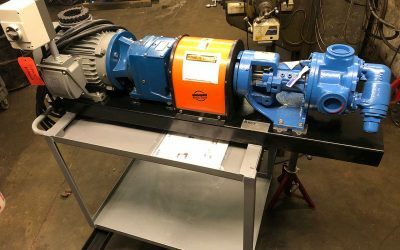 ABET Distributing repairs pumps of ANY make/model. This Discflo pump is a perfect example. 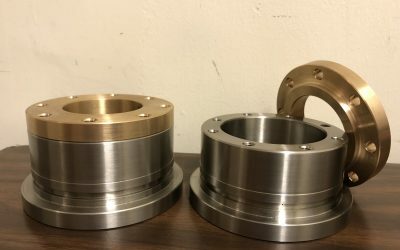 Pump was machined to accept upgraded ISOMAG magnetic bearing isolators. 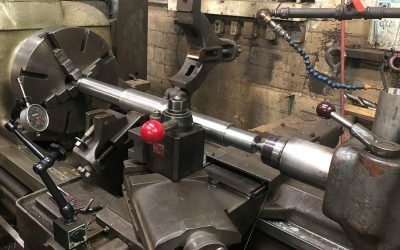 At ABET, our full-service machine shop houses multiple horizontal lathes of varying sizes, a vertical turning lathe, multiple horizontal mills for different applications, and several drill presses. Another Grundfos pump repaired, and ready to ship back to our customer. 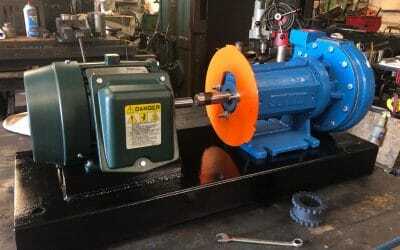 Precision Laser Alignment being performed on a NEW Summit 2196LF LTO 1.5×3-13 ANSI End Suction Centrifugal Pump coupled to a 100HP Worldwide Electric Explosion-Proof Motor. 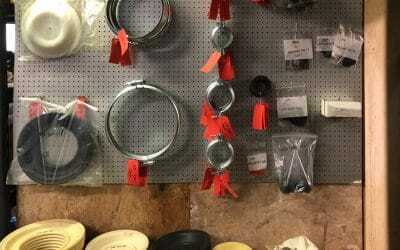 Replacement balls, seats, air valve assemblies, clamps, etc. 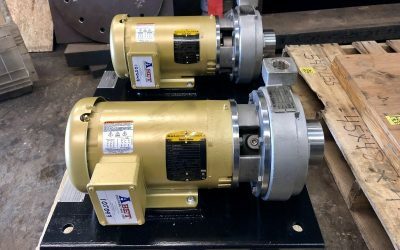 are all available locally at ABET Distributing USA, Inc.ABET also stocks a variety of different AODD pumps. ABET Distributing USA, Inc. is a leading Houston Texas based industrial pump sales and service provider. 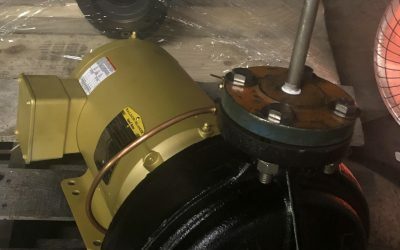 Field Service Pump Repair - Sales and servicing of all major brands with expertise in Summit, Goulds, Egger, Nomad, Peerless, Advanced Sealing International and more. Monday – Friday 8:00 a.m. – 6:30 p.m. 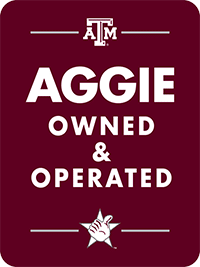 Copyright ©2019 ABET Distributing USA. All Rights Reserved.